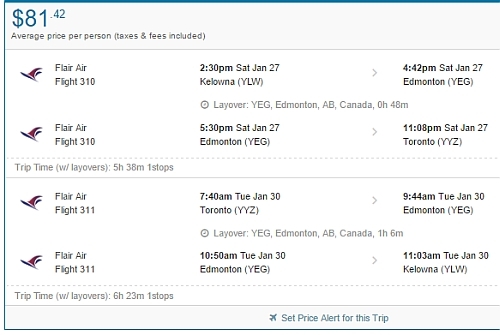 Kelowna to Toronto - $82 CAD roundtrip including taxes | mistake? 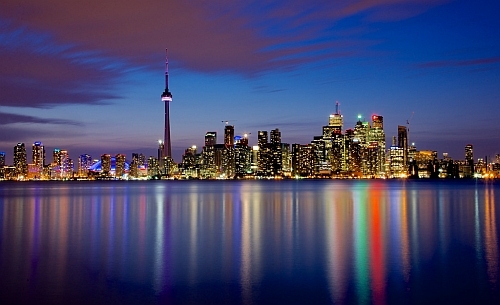 Flair Airlines (formerly New Leaf) is showing flights from Kelowna to Toronto for $82 CAD roundtrip including taxes. A price so absurdly low it's likely a mistake. I've seen mistake prices from Flair Airlines before, and they turned out to not really be bookable. I'm guessing that's the case here, and these can't really be booked at this price, but it's worth a shot. The prices are verifying on a few different booking sites. The flights have 1 stop in Edmonton each way. IMPORTANT: Do not book anything non-refundable for at least 48 hours, until it becomes clear whether or not the ticket has been issued. NOTE: After your Flighthub search completes, click on 'Flexible Dates' to see more dates for $82 roundtrip. (Flexible Dates are not available on the mobile site). kelowna, YLW, flight deals, ontario, toronto, yyz, canada, north america or flair airlines.